Some adolescents seem to act as if they have a volcano inside -- always on the verge of erupting into anger. They often generate discord and have combative relationships with parents, care givers and other adults who work with them. 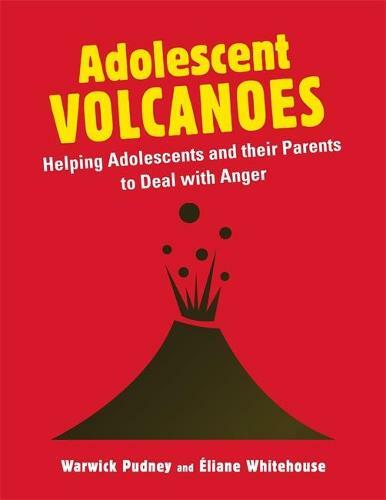 Adolescent Volcanoes is a practical resource for adults working with adolescents and their parents to help them understand, express and manage their anger. Featuring interactive worksheets and handouts throughout, it explores the causes of anger, focusing not only on the adolescent, but also on styles of parenting and situations at home that can exacerbate these feelings, and suggests ways to tone down confrontations and improve relationships. It describes models that explain the dynamics of arguments, such as 'power analysis' and 'positive intentions'. It also explains anger management tools such as 'escalators', 'time out', 'emotional awareness', 'triggers' and the 'four-part phrase'. By improving emotional management and communication, this resource will help adolescents to understand how to reduce attacking behaviour and turn their anger into something positive. Adolescent Volcanoes can be used as the basis of counselling sessions and incident management. It will be invaluable for counsellors, teachers, youth workers and social workers who work with adolescents.